9:30-9:45: Opening Remarks: From Having to Being: The Return to a Humanist Paradigm. Ross Ellenhorn, PhD. Founder/CEO of Ellenhorn, President of the Association for Community Integration Programs. 9:45-10:45: Beyond Disease: Re-humanizing the Addiction Paradigm. Andrew Tatarsky, PhD. Founder and Director of The Center for Optimal Living. 11:00-12:00: Integrating the Values of Compassionate Pragmatism on a Harm Reduction Continuum in the Community: An IDDT Approach. Zoi Andalcio, MS, LMHC. Director of the Ellenhorn Integrated Dual Disorder Treatment program. 1:00-3:00: Addiction is Not a Brain Disease: and that Matters. Marc Lewis, PhD. Q and A with Dr. Lewis from 2:30-3pm. 3:15-4:15: CRAFT and the Invitation to Change Approach: Combining Science and Kindness for Families. Carrie Wilkens, PhD. Co-Founder & Clinical Director, Center for Motivation and Change (NYC & Berkshires). 4:15-5:00: Q and A, Moderated by Ross Ellenhorn, PhD. Marc Lewis, PhD is a neuroscientist and professor emeritus in developmental psychology, having taught at the University of Toronto for over twenty years and at Radboud University in the Netherlands for six. He is the author or co-author of over 70 journal publications in psychology and neuroscience. In his first book on addiction, Memoirs of an Addicted Brain (2011), he connects his own years of drug use with an account of how the brain changes with addiction. In the second, The Biology of Desire: Why Addiction is Not a Disease (2015), biographies of addicts are linked with neuropsychological findings to show how addiction develops and how it can be overcome. Both books have been published in several languages, and Biology received the PROSE (Association of American Publishers) award for Psychology in 2016. 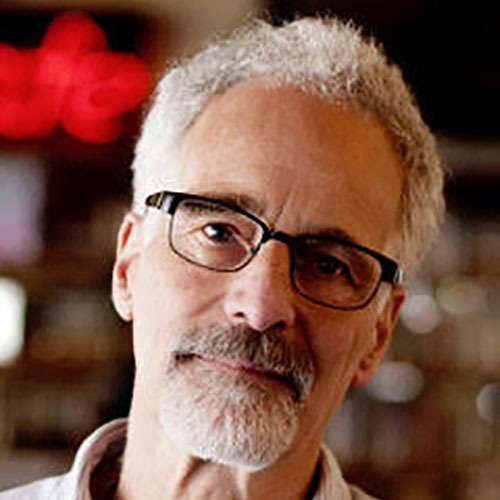 Lewis currently writes for the popular press (e.g., The Guardian, Aeon, Scientific American), blogs, and speaks internationally on the science, experience, and treatment of addiction. You can read his blog here. 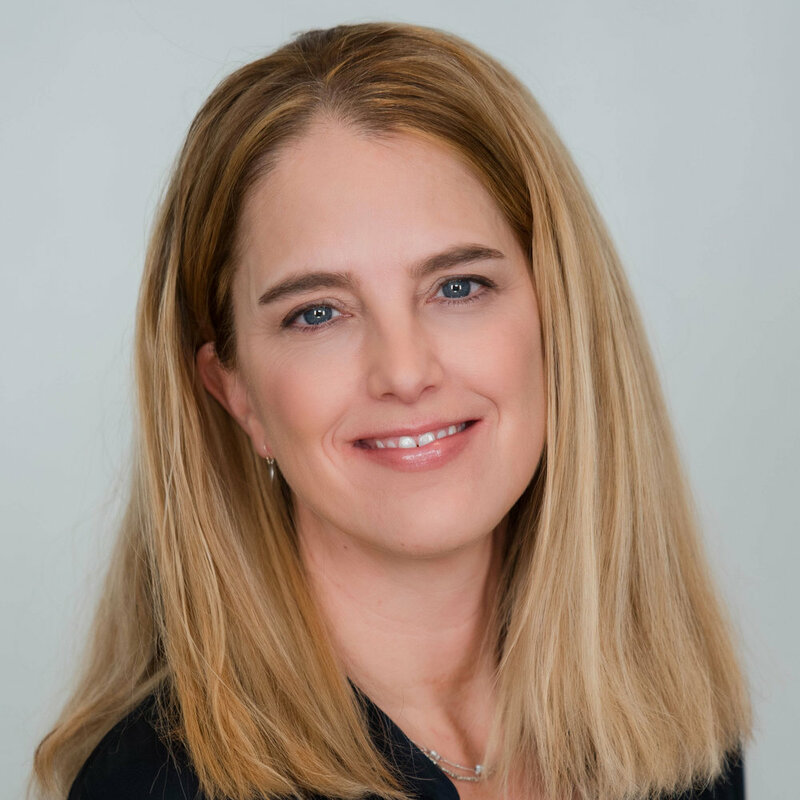 Carrie Wilkens, a clinical psychologist, is the Co-Founder and Clinical Director of both the Center for Motivation and Change in NYC, an outpatient center established in 2003, as well as CMC:Berkshires, a residential center established in 2014. She is co-author of the award-winning book Beyond Addiction: How Science and Kindness Help People Change, a practical guide for families dealing with addiction and substance problems in a loved one, based on principles of Community Reinforcement and Family Training (CRAFT). She is also a contributor to two workbooks combining strategies from CRAFT and Motivational Interviewing: The Parent’s 20 Minute Guide and The Partner’s 20 Minute Guide, which offer specific tools and practice in evidence-based strategies for helping a loved one change. Dr. Wilkens sits on the Advisory Council for the Peter G. Dodge Foundation, a non-profit that works to achieve lasting change in the field of alcohol use disorders and is the co-founded of CMC:Foundation For Change, a non-profit which provides strategies, understanding and hope for families of those struggling with substance use. Frequently sought out by the media Dr. Wilkens has appeared on the CBS Morning Show, Katie Couric Show, Fox News, the People’s Pharmacy and The Diane Rehm Show. Dr. Tatarsky has devoted his career to developing a comprehensive understanding of the broad spectrum of substance use problems and the development of an integrative harm reduction psychotherapy approach to treating that spectrum. This treatment is described in his book, Harm Reduction Psychotherapy: A New Treatment for Drug and Alcohol Problems, as well as in professional papers and book chapters that extend the approach. An internationally recognized leader in the treatment of substance misuse and other potentially risky behaviors, he has specialized in the treatment of addiction for 35 years as a counselor, psychologist, program director, trainer, advocate and author. He trains professionals nationally and internationally. Dr. Tatarsky is founder and executive director of the Center for Optimal Living in New York City where treatment and professional training is based on his model of Integrative Harm Reduction Therapy (IHRP). The center is one a growing number of treatment centers fully and radically committed to the harm reduction framework for helping people make positive change in their lives. The center is also committed to helping to change the dominant addiction/recovery toward one fully informed by harm reduction principles of compassion, collaboration, empowerment and personal choice. Mr. Andalcio is the Director of Integrated Dual Disorder Treatment at Ellenhorn, a model for assisting individuals experiencing both addiction and burdensome psychiatric issues in the community. A licensed mental health counselor with over 10 years of clinical experience, he has been trained in several evidence-based approaches to dual diagnosis treatment. Mr. Andalcio is a community-based therapist with a passion for working with clients in the community. He has worked with many clients in diverse settings, from homeless shelters and correctional facilities to community clinics and hospitals. He is trained in psychological first aid, harm reduction methods, Open Dialogue, motivational interviewing, and Mentalization Based Treatment (MBT). As a personal fitness trainer, he incorporates personal training to assist clients in the recovery of their physical bodies, as well as helping them to open up emotionally and develop new avenues of mastery. For the past three decades, Dr. Ellenhorn has been a pioneer and leader in the development and promotion of community integration services, types of care that serve and empower individuals diagnosed with psychiatric and/or addiction issues outside institutional settings, and in their own communities. Trained as a sociologist, psychotherapist and social worker, Dr. Ellenhorn created the first fully-operating intensive hospital diversion and wrap-around program in Massachusetts. He later created and led one of the nation’s first Programs for Assertive Community Treatment teams in that state. He is the founder and owner of Ellenhorn, the most robust community integration program in the U.S. In addition, Dr. Ellenhorn is the co-founder and president of the Association for Community Integration Programs (A4CIP), a professional association representing and promoting programs dedicated to empowering clients who are receiving services while living and participating in their community. Over the past 20 to 30 years, medical authorities have come to define addiction as a brain disease. However, the disease model skews the science of addiction, diverts attention from key social-psychological factors, and justifies harmful policies for prevention and intervention. In this talk I review the distortions and omissions inherent in the disease model and highlight corresponding problems in policy and clinical practice. I then outline an alternative model of addiction based on principles of learning and development. This model views addiction as an entrenched habit for regulating emotional needs, learned through the repeated pursuit of highly-motivating rewards. The model does not overlook brain changes in addiction, but reinterprets them in the context of social-emotional impediments. Developmental-learning models of addiction help explain individual differences in vulnerability (and recovery) based on early emotional difficulties and current psychological and social resources. The family members and friends of people struggling with substance use (or other behaviors) are incredibly motivated to help their loved one, yet often face huge barriers to getting guidance that works. They experience the fear and exhaustion of dealing with struggles they never imagined having to face, shame, isolation, and a constant sense of how high the stakes are ("something terrible could happen to my child"). They face a culture where addiction is stigmatized and the advice given is antiquated, ideological and punitive ("tough love" or detachment) and get blaming messages that by helping they are "codependent" and "enabling". These messages come from well-meaning friends and relatives, the media and treatment professionals and increase the shame and fear these families already feel. There is research supported and clinically tested knowledge for families (parents, spouses, grown children) about how to help in ways that are positive and supportive of the whole family. Families can learn these skills and help their loved one. The Invitation to Change Approach draws from the most effective strategies found in 3 evidence-based treatments for substance use disorders: CRAFT (Community Reinforcement and Family Training), MI (Motivational Interviewing), and ACT (Acceptance and Commitment Therapy) and is designed to help families and communities understand the problem they face and approach it compassionately and effectively. Addiction is one of America’s most urgent humanitarian crises. This is most painfully evident in escalating rates of accidental lethal drug overdose over the last 20 years. We will consider how the way we think about addiction as a disease or moral weakness is responsible for our failure to effectively treat it. This thinking is soaked into the fabric of American society at every level and lives within each of us consciously and unconsciously. This thinking has led to social responses that have caused exponentially more harm than problematic drug use itself. There is wonderfully good news! We will explore an emerging alternative view of addiction as a multiply meaningful response to our social conditions and their emotional and physical impact on us - a process that is a universal human experience. I will discuss how this paradigm shift is setting the stage for a transformation of our culture of stigma and punishment into one based on compassionate pragmatism – the philosophy expressed in therapy, efforts to support loved ones and personal efforts to heal, grow and make positive change based on an integrative harm reduction framework. I will share principles and practices that you can begin using immediately in your lives. Treatment for Dual Diagnosis and/or Co-Occurring Disorders is currently offered throughout the country. As increased focus on the interplay between psychiatric diagnoses and issues of substance misuse intensifies, old disease-oriented paradigm threaten to re-emerge as the central narrative. As we unpack the complexity of addiction, there should to be guiding principles and values to inform our work with dual diagnosed clients that lead us away from the old model of treatment. There are as many assumptions made about what is viewed as a success when working with addiction as there are about success in psychiatric care. This presentation is poised to shift the paradigm away from thinking sobriety and the treatment of symptoms alone are indicators of success, to a view that autonomy, purpose, and hope are the most important targets, regardless of whether sobriety is obtained or symptoms are full reduced. In this presentation, Zoi Andalcio will focus specifically on the challenges that community harm reduction based treaters face when working with dual diagnosed clients and provide criteria for helping addiction programs grow in clinical care and compassion while still meeting the needs of clients. He will specifically describe a version of a community-based model called Integrated Dual Disorder Treatment that resists such negative assumptions, and takes seriously the significantly negative social factors affecting people diagnosed as mentally ill and how these factor influence use. Optimal Living Psychological Services, PC is recognized by the New York State Education Department's State Board for Social Work as an approved provider of continuing education for licensed social workers #SW-0534. This training has been approved to provide six hours of continuing education.